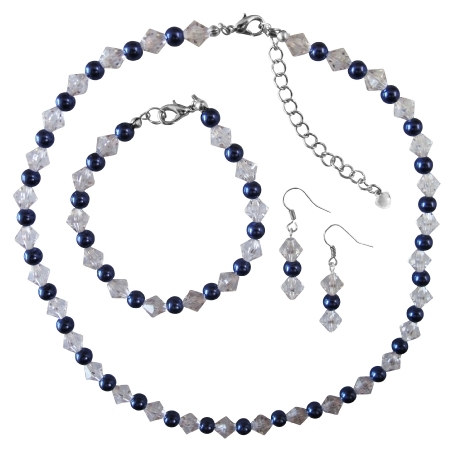 BridesmaidBridal Flower Prom Wedding Necklace & Earring Set in Beautiful Blue Pearls & glass Clear Crystals Necklace Earrings & Bracelet. It would also make a great gift. Maid of honor bridesmaids mother of the bride mother of the groom anniversary or birthday.